August 3, 2016 – Payson, Utah – Lachlan Morton (Australia) of the Jelly Belly Cycling Team presented by MAXXIS powered away from his two break mates for a thrilling win on Stage 3 presented by America First Credit Union today at the Larry H. Miller Tour of Utah. 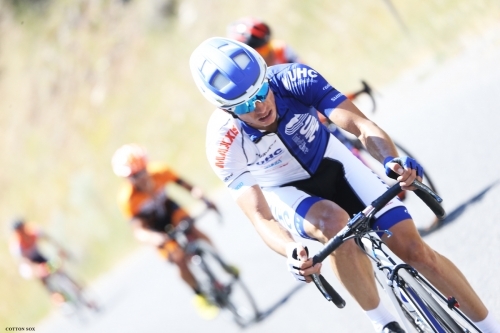 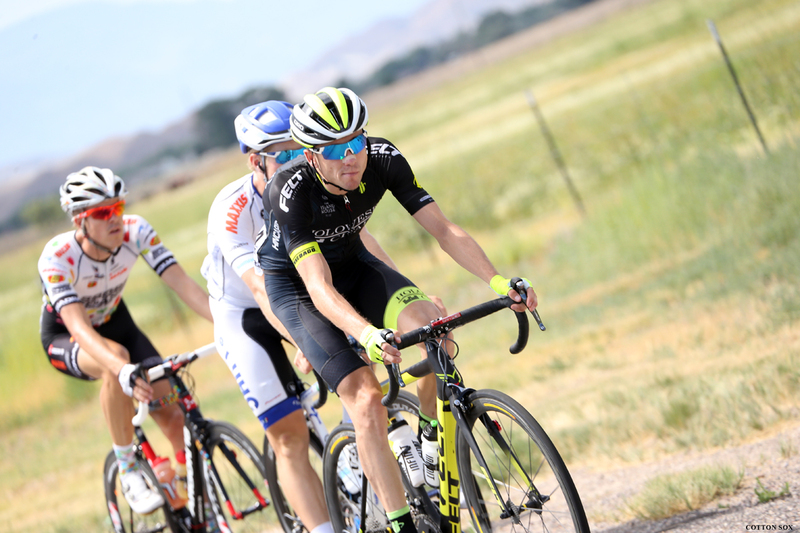 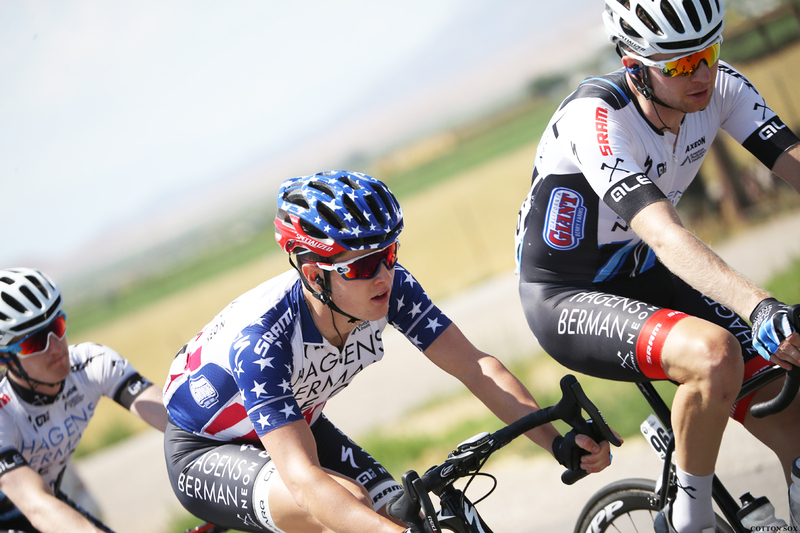 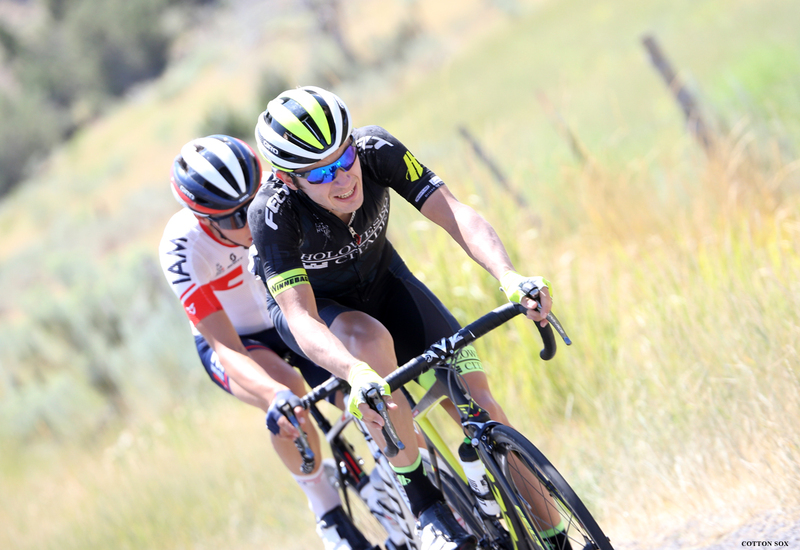 The victory in downtown Payson put the 24-year-old in the Larry H. Miller Group of Companies race leader jersey. 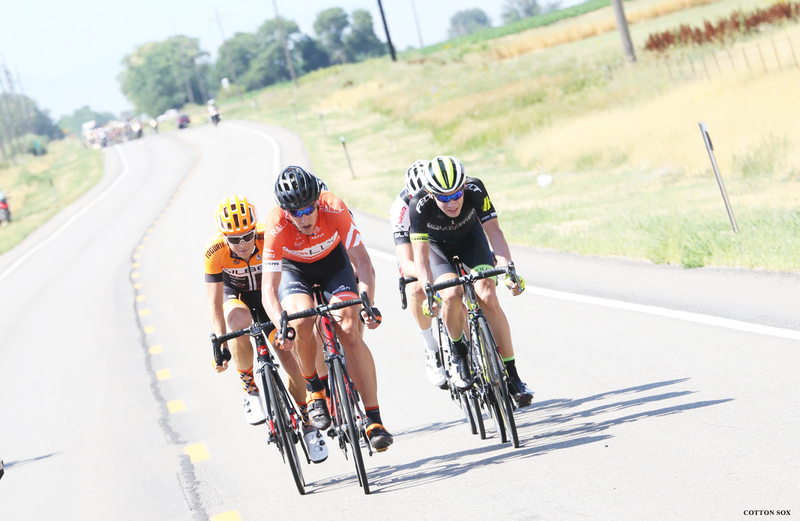 Morton covered the 119-mile course, the longest of the week which began in Richfield, in four hours and 24 minutes. Morton attacked on the steep, lower slopes of Mount Nebo, the southernmost and highest mountain in the Wasatch Range of Utah. 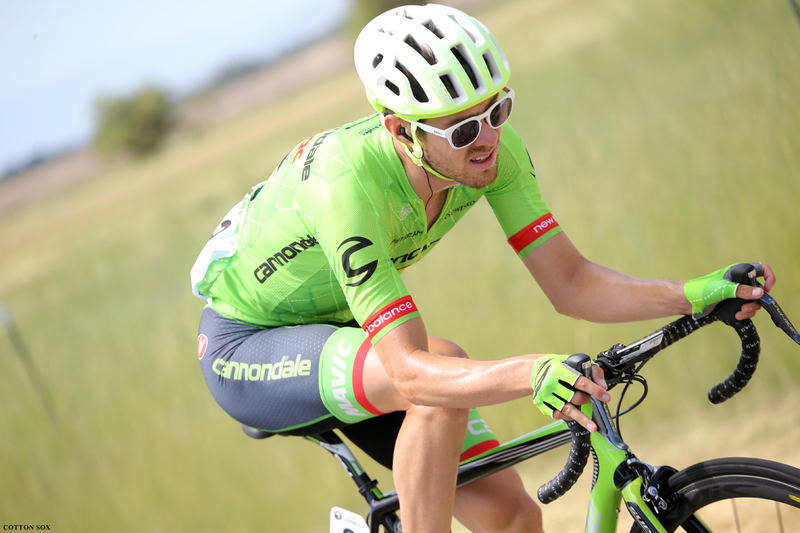 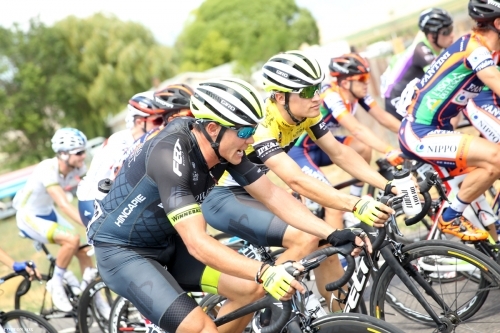 He was soon joined by Andrew Talansky of Cannondale-Drapac Pro Cycling Team. American Adrien Costa of Axeon Hagens Berman bridged up to the two escapees in a show of climbing strength. 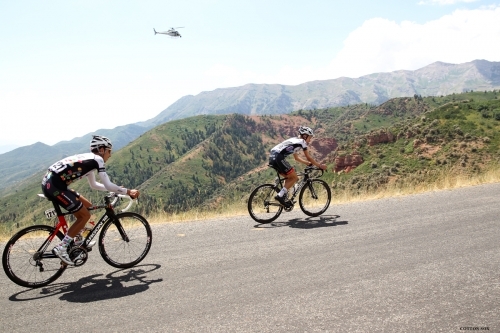 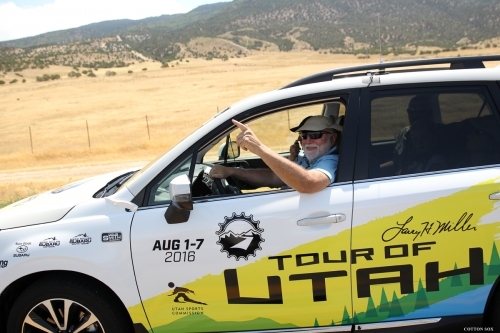 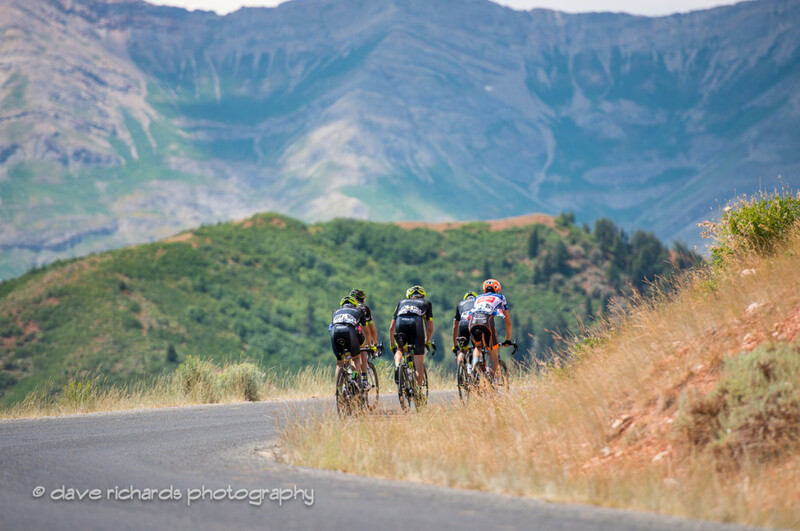 The trio worked well together to hold off hard-changing chase groups over the only Utah Office of Tourism King of the Mountain climb of the day that crested to 9,300 feet above sea level. 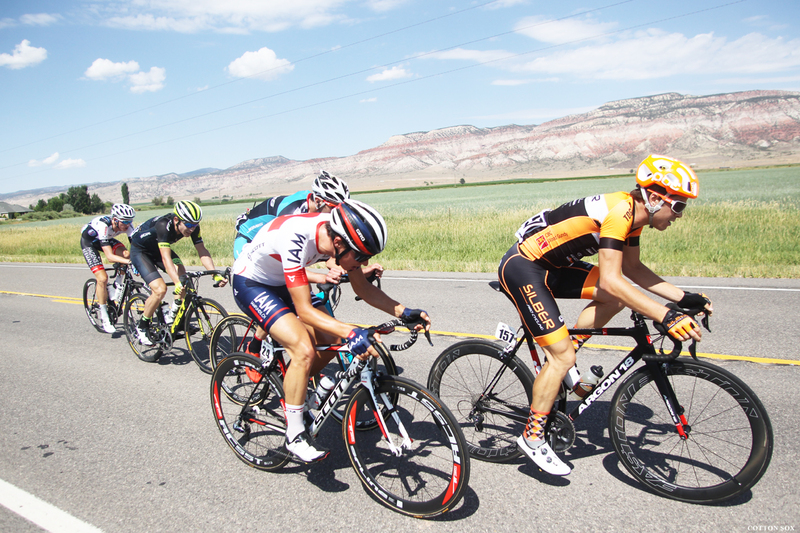 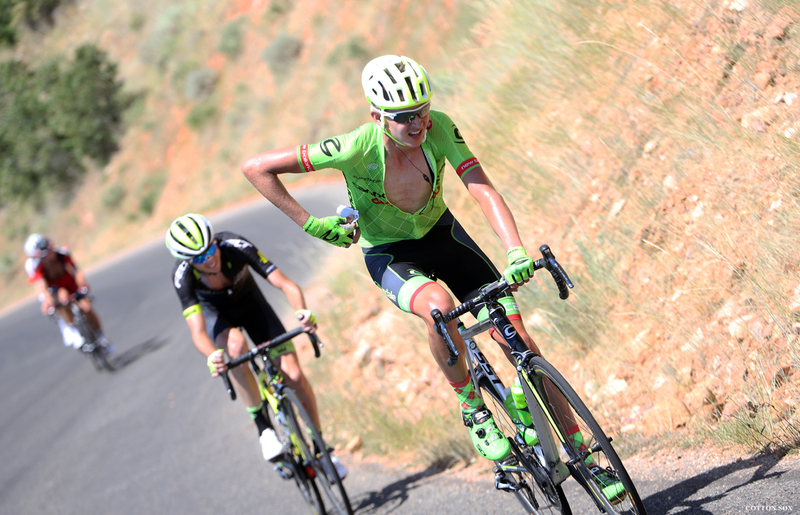 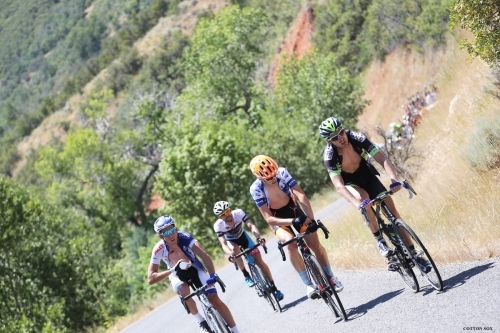 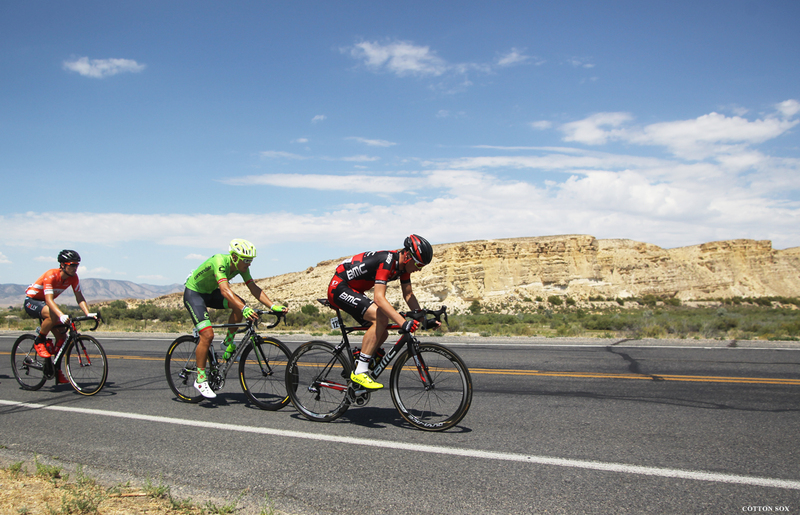 An exhilarating 22-mile descent into Payson led to a three-man showdown. 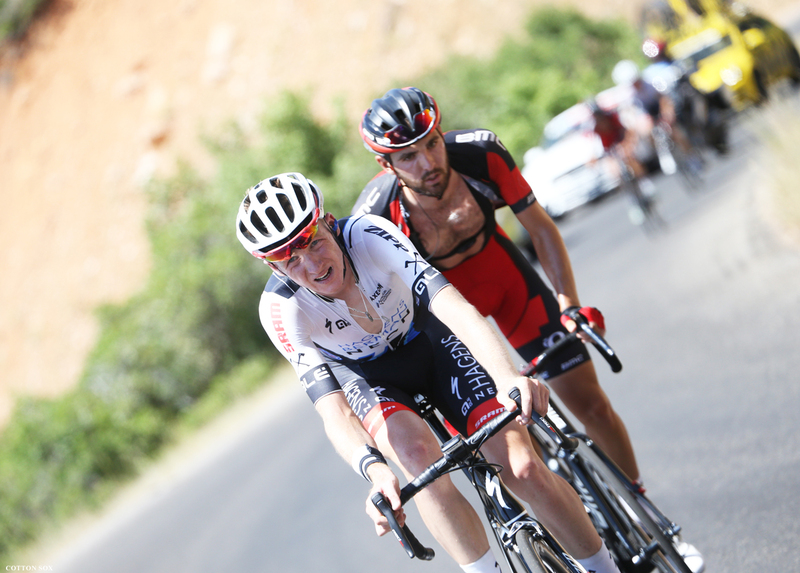 “I came here wanting to do a good race. 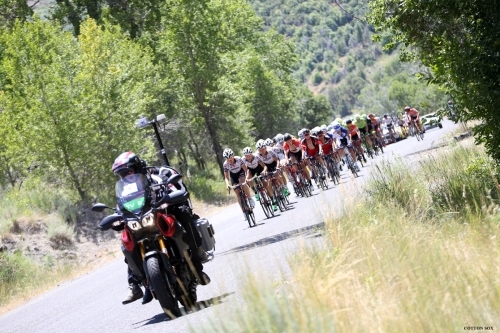 As a domestic rider, this race is as big as it gets. 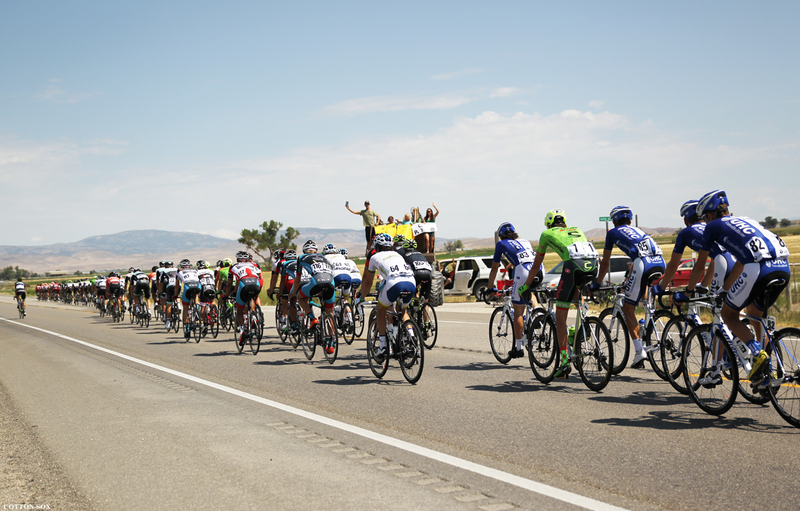 Everyone is really motivated. 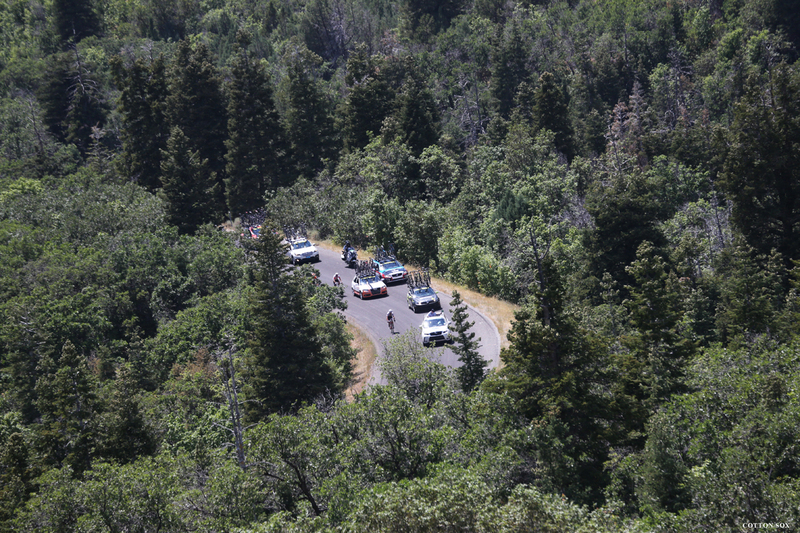 I won this stage (Richfield to Payson) last time, so I knew it really well. This morning we just said, ‘Let’s go for it’. We hadn’t really planned for it before today. 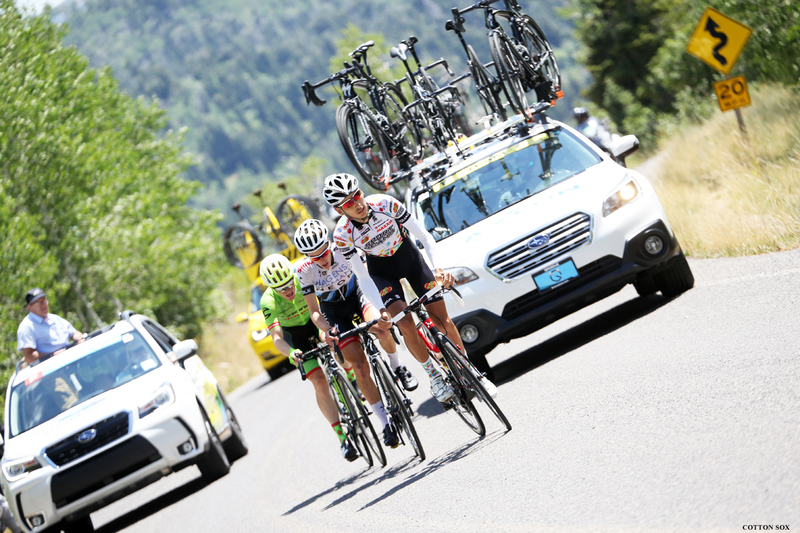 It all worked out pretty much how we wanted it to, which rarely happens,” said Morton about his Jelly Belly Team strategy. 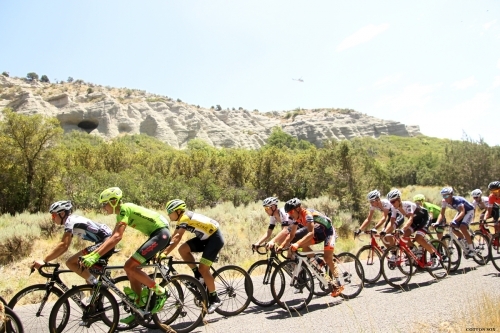 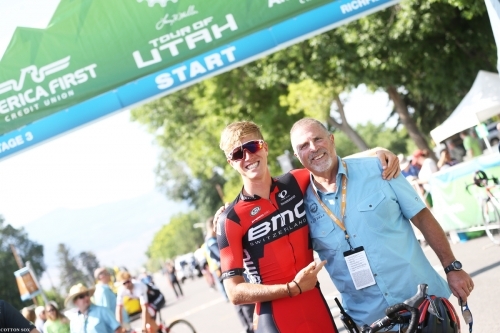 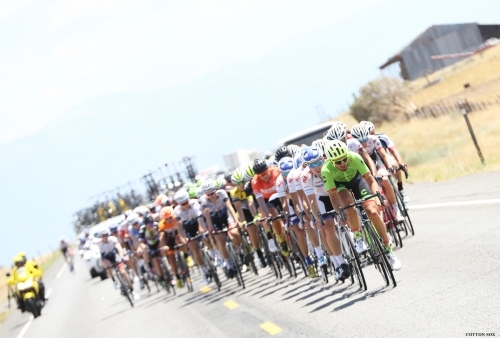 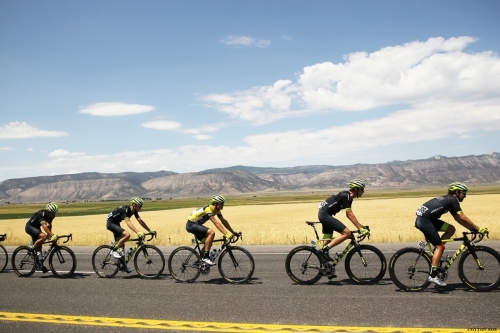 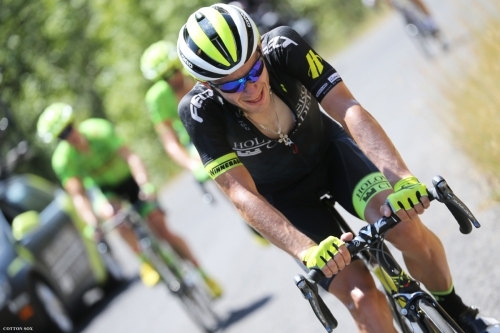 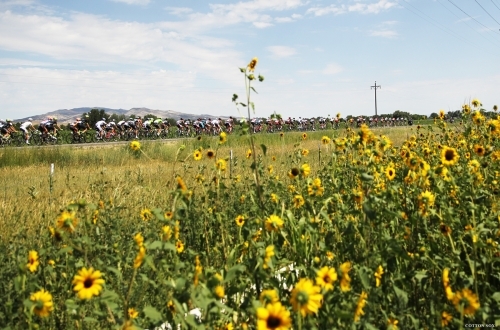 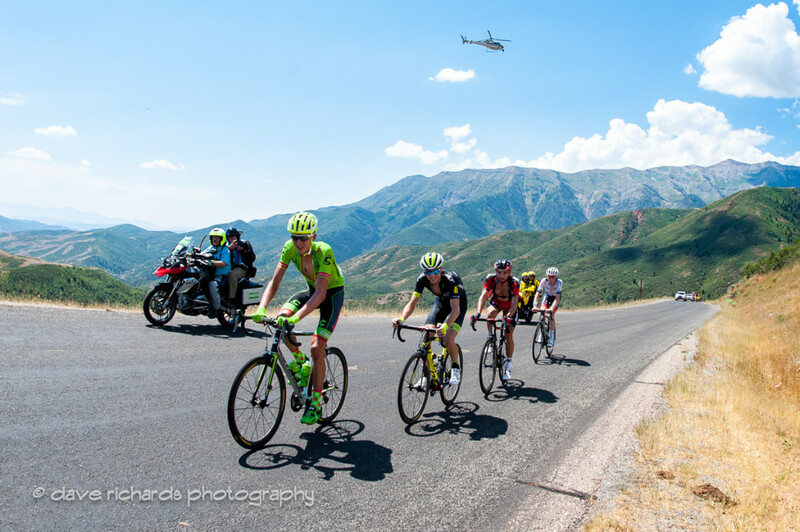 Morton soloed to victory on this same stage 3 at the 2013 Tour of Utah. 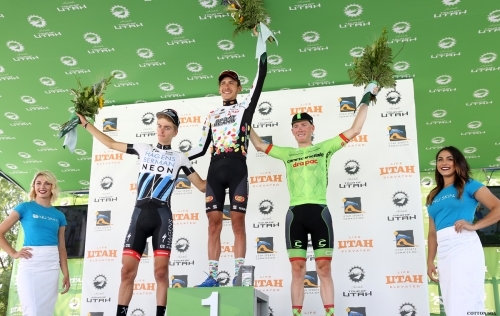 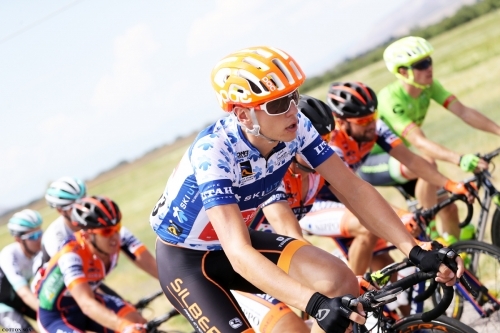 Runner-up Costa, the youngest rider in the race at 18 years of age, takes over the Subaru Best Young Rider classification jersey and the Utah Office of Tourism King of the Mountain jersey. 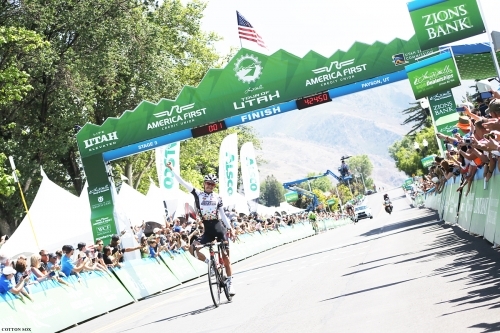 Talansky finished third on Stage 3 presented by America First Credit Union. The win gives Morton a seven-second General Classification (G.C.) 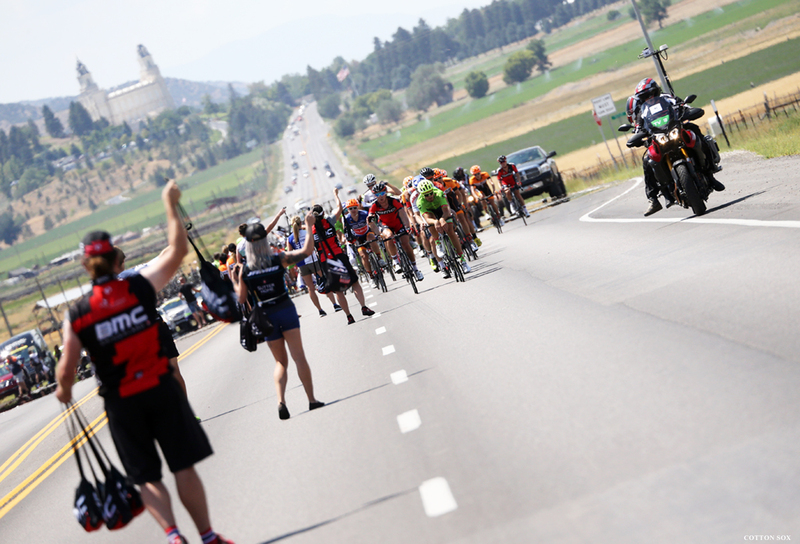 lead over Costa and nine seconds on Talansky. 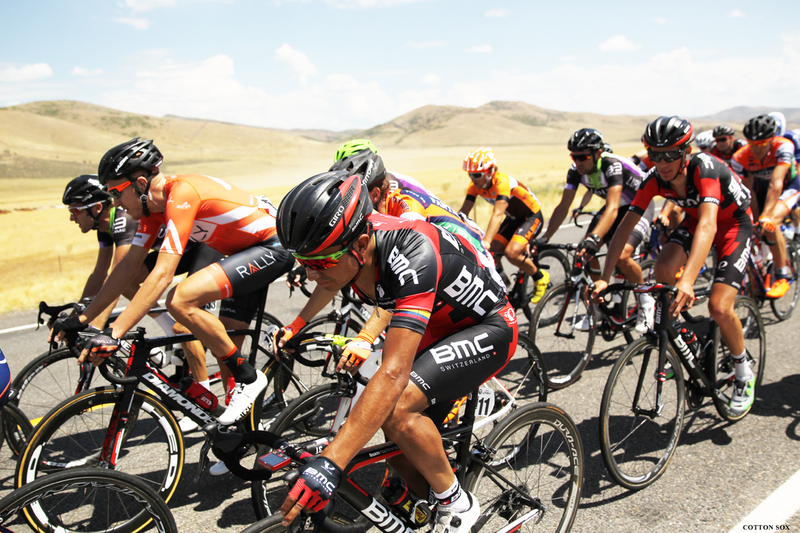 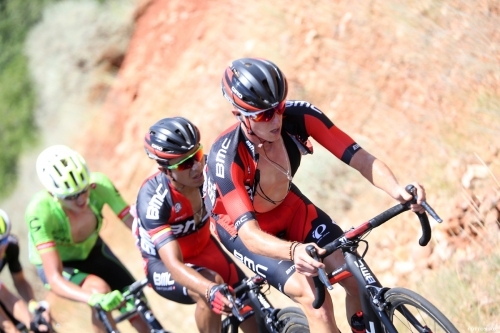 BMC Racing Team’s Darwin Atapuma Hurtado (Colombia) is fourth and Taylor “T.J.” Eisenhart, of Lehi, Utah, moves from 75th to seventh overall. American Robin Carpenter of Holowesko | Citadel Racing Team presented by Hincapie Sportswear dropped from first to eighth overall. Simon Pellaud (Switzerland) of IAM Cycling, the last rider from the early breakaway to be reeled in after 80 miles in the saddle, was awarded the Larry H. Miller Dealerships Most Aggressive Rider jersey. 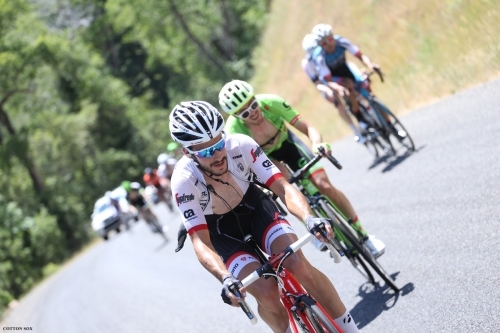 Pellaud escaped with five other riders in the first kilometers of the race. 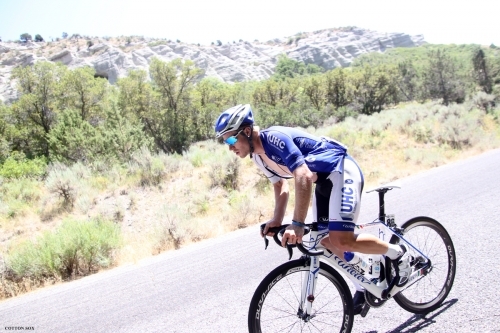 “I had no idea what my shape will be. 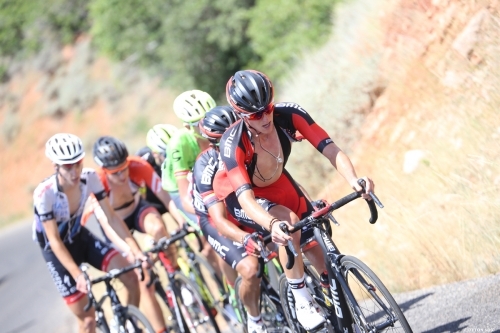 I’m here getting in shape to get ready the Vuelta. 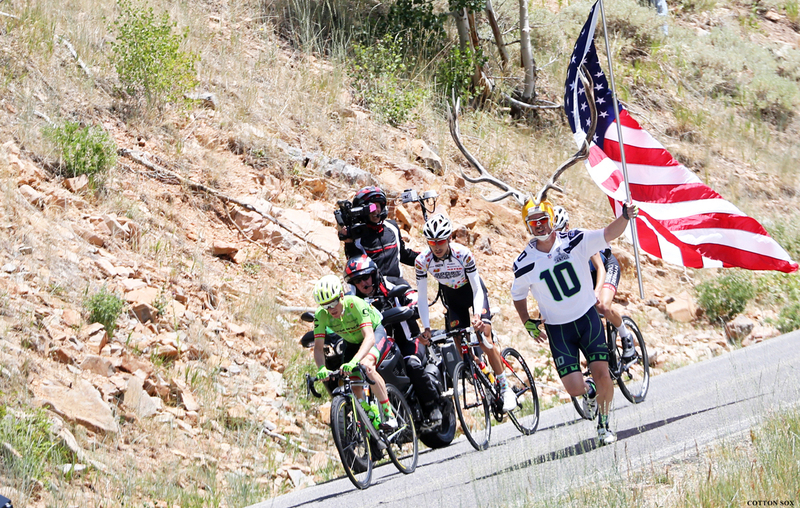 It has been amazing to race in America. 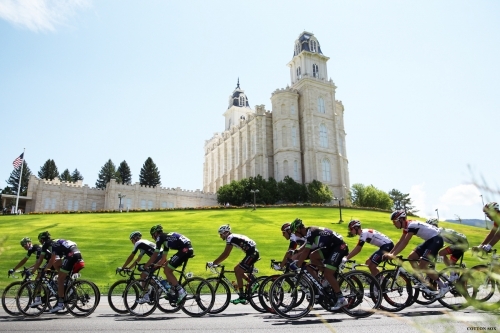 I am enjoying every day. 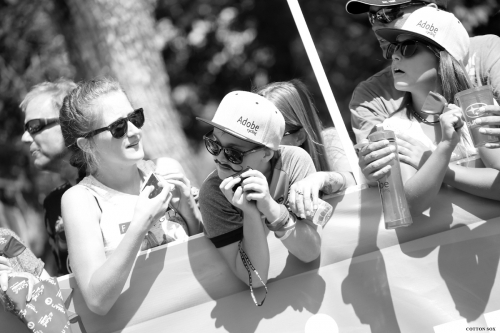 I will keep trying to get in the breaks.” The young 23-old rider also spent time in the break on stage 1. 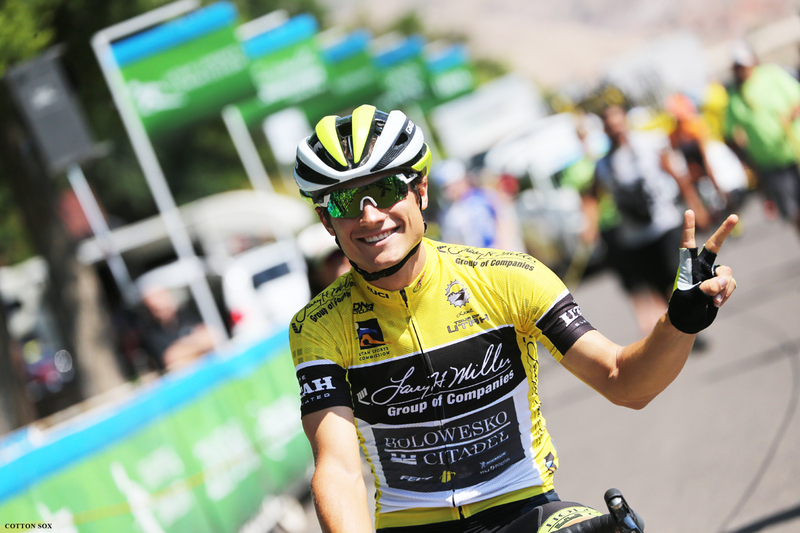 American Robin Carpenter of Holowesko | Citadel Racing Team presented by Hincapie Sportswear retained the Utah Sports Commission Sprint jersey. Talansky was voted America First Credit Union Fan Favorite for Stage 3, in the category of Best Climber. 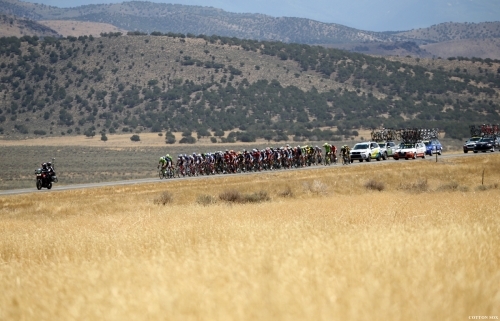 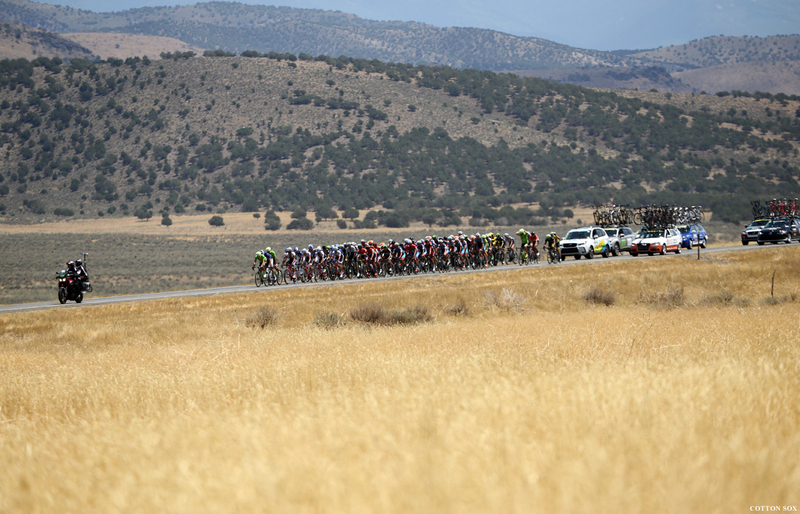 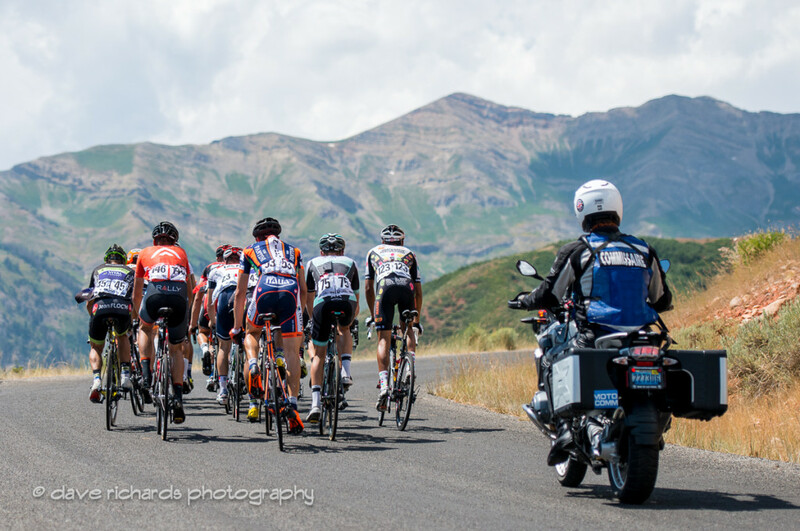 Stage 4 presented by UnitedHealthcare will find the race returning to Salt Lake County for a 10th time in 12 years. 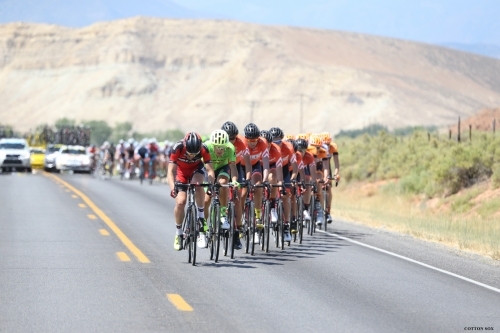 On Thursday, Aug. 4, the race will start on the corporate campus of IM Flash in Lehi. 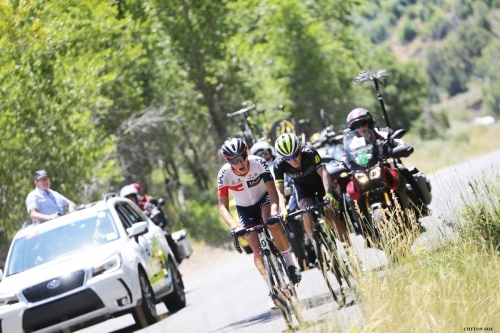 The 96-mile (154.4 km) route looks flat on paper, but will traverse a 28-mile stretch of the Mountain View Corridor (MVC) in the foothills of the Oquirrh Mountains. 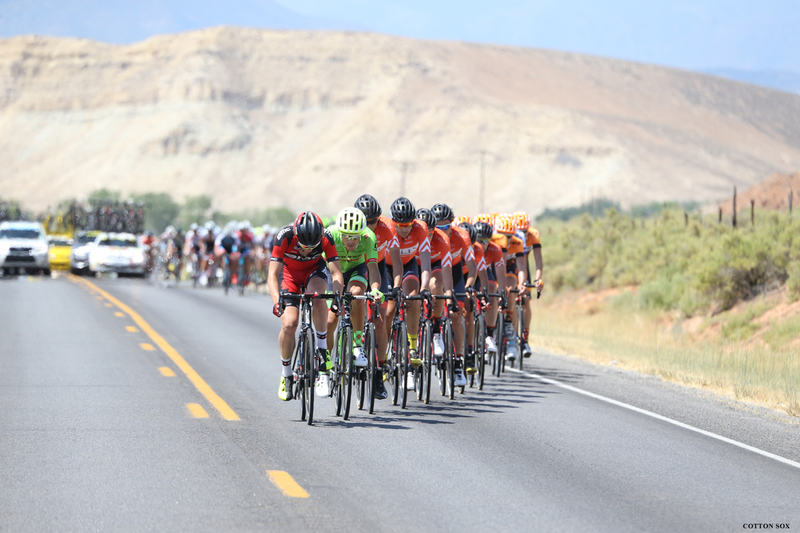 The racers will complete two and a half laps of the MVC freeway for two Utah Sports Commission Sprint line prizes and a total of 70 miles, then drop into the township of Kearns for the first time. 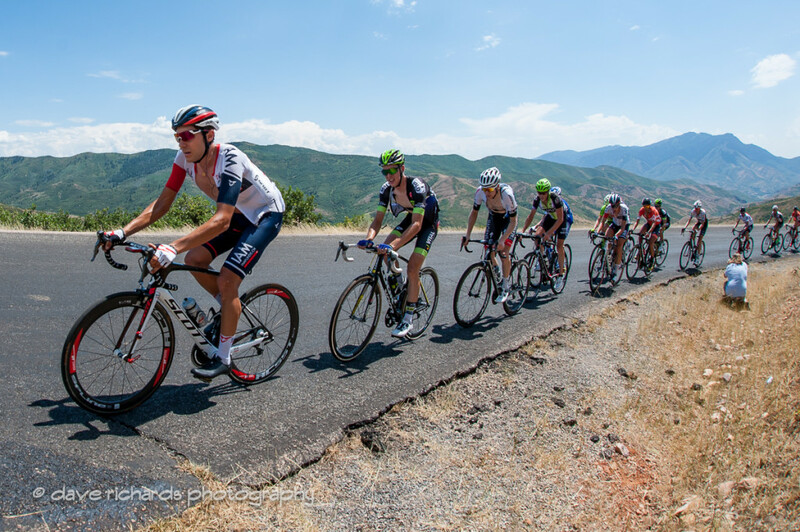 There will be three challenging laps of a four-mile circuit that finishes adjacent to the Utah Olympic Oval, site of the long track speed skating events for the 2002 Olympic Winter Games. This five-acre facility is known as the “Fastest Ice on Earth” and is the home to more than 100 world records in speed skating.